A skin condition caused by inflammation of the skin. Eczema may manifest with itchy, red and dry skin; even cracked and leathery. Eczema can appear on any part of the body. 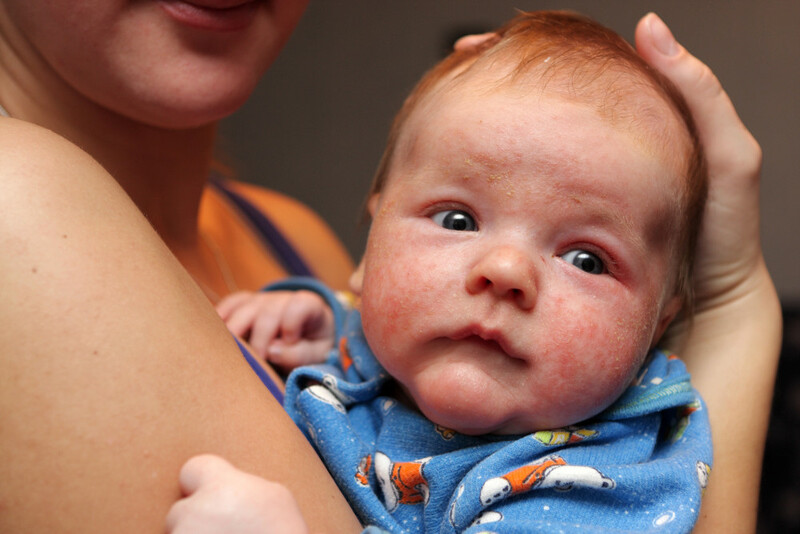 Eczema can be acute or chronic, most often seen in infants, also manifesting in adults. Individuals with eczema have a higher risk of developing conditions as asthma or hay fever. As with most conditions, we focus on the source or cause of the symptoms. Often times, eczema is directly linked to food sensitivities, normal flora deficiency or lack of proper digestion. Eczema can also be linked to topical agents as detergents, cosmetics, or others. We begin by identifying what the individual is exposed to on a daily basis, as foods and other chemicals, identifying possible triggers. We then support the body by making dietary changes, repopulating beneficial probiotics, improving digestion and removing other external factors. Options may include, homeopathy, herbs, acupuncture, acupressure and dietary modifications. Regardless of the options chosen, the goal is to restore proper function of the body so it can heal itself.